The vandalism of Himanta Biswa Sharma is not something new for the people of Assam. His political aspirations backed by his attitude of vandalism started as early as his student life when he was the General Secretary of Cotton College. He was the first general secretary of the most prestigious educational institution of Assam who invited a political leader to the college week of Cotton College. It was none other than late Hiteshwar Saikia, another preacher of vandalism, who was hated by most of the student community for his anti-Assam Agitation stands and for being the reason of the bloodshed during the 1983 elections in Assam. “Who does not indulge in corruption?” was the reply by a shameless Himanta Biswa Sharma when whistleblower Akhil Gogoi accused him of being involved in the 10,000 crore NC Hills Scam and to own a 100 crore worth News channel with black money. When charged with questions as to how he could afford to gift his kid daughter a car worth 40 lakhs, he kept silent. When proved with evidence by Akhil Gogoi about his various corruption scams, he did not feel the need to prove himself innocent through a judicial inquiry. Instead, he chose to counterattack Akhil Gogoi through a defamation court case of one crore! Himanta Biswa and his vandalism have notoriously influenced the youth of Assam to corrupt themselves and this was evident when there was a rally against Akhil Gogoi by youth congress. The only fault of Akhil Gogoi was that he exposed the corruption of Himanta Biswa with evidence. If such a person is allowed to continue to act as a people leader, all coming generation of youth of the state will follow the dirty path of this corrupt youth leader and his vandalism thereby and destroy our motherland forever. Himanta Biswa Sharma came to limelight using the power chords of the ULFA in the early nineties. He not helped the outfit with the collection of funds but actively participated in threatening people for extortion of money. He himself had agreed to some of his crimes committed during those days when charged in an extortion case at Jyoti Nagar, Guwahati. He later was able to use his influence to close the case with the excuse that the case diary was lost. But last year, when Akhil Gogoi disclosed two case diaries lost from Police Station long ago (which contained details of Himanta Biswa Sharma’s vandalism), Himanta Biswa Sharma not only claimed that he was innocent, but declared to the press that he was so happy to see those dairies back that he will adopt a girl child! As expected though, he never kept his promise. If Himanta Biswa Sharma is not guilty of carrying out extortion on behalf of the ULFA, can he stand in Jyoti Nagar and claim his innocence to the public there? He would not dare do that for fear of a public thrashing, for indeed he had been beaten up by the public and his clothes torn in that locality when he was caught red-handed. History has not forgotten that incident, although the media of Assam fears to mention this. Himanta Biswa Sharma has tried to showcase that he has succeeded in leading the Health ministry of the state with his self-styled propaganda. He has indeed been able to fool quite a huge section of the ignorant public but the truth lies in the fact that whatever little development has taken place with modern equipment in hospitals or implementation of the 108 emergency services is all because of funds and policies of the Centre. The state Ministry is simply following the national level schemes and policies and trying to take false credit out of it. In fact, there are big examples which show how pathetic the health sector in Assam. Infant Mortality Rate (IMR) of 61 deaths per 1000 birth in Assam, which is far higher than the National rate of 50 deaths per 1000 birth, speaks of exactly the false propaganda by Himanta Biswa Sharma. In fact, Assam is one of the worst performing states in India when it comes to health care. Cholera, Malaria, and Anemia are still widespread in the region killing hundreds every year. Worm infection, skin problems, respiratory infections and prevalent in at least 60 % of the population. Diseases like hypertension, stroke was emerging in the region. Hundreds of cancer patient, especially breast cancer patients, travel cities outside Assam shelling lakhs of the rupee and selling all property in a hope to live. Our people cannot see any improvement in these fields except the vandalism of Himanta Biswa Sharma claiming that he has done magic in health care! The gateway to the North East, the biggest and the busiest city of the region is also the dirtiest, most unsafe and most uncomfortable to live. Whether it is the growing dirty and unhygienic slum that provides the welcome sight and the first impression to every new visitor coming to Guwahati by trains, increasing number of thefts and robberies or the ever-enduring problem of rainwater flood or drinking water scarcity, there has been absolutely no improvement in life of the citizen of the city. Flash floods resulting from every rain in the city that brings life to a standstill and takes weeks to recover from the dirt and the foul smell has made Guwahati a living hell. Roads continue to be in the worst shape ever, dust and dirt give a 24×7 treatment to everyone daring to come out of their houses, not a single autorickshaw runs on the meter and future improvement in communication and transportation within the city looked like a dream all the while. When equivalent cities like Jaipur can boast of construction of metro railways, Ahmedabad can boast of building 52 flyovers in a year to make the city free from the problem of traffic, Nagpur can boast of having the best and the widest all-weather roads in the country, Guwahati is seen only deteriorating in every field. The city is lagging far behind in infrastructure and development when compared to other cities of Indian. On the other hand, projects like beautification of the Brahmaputra bank, construction of ropeway to Umananda Island from Kamakhya hills, etc which started off only months earlier to the state elections are far from getting into shape after lying around in papers for a long while. When the most popular figure in the ministry of the state cannot do anything for his hometown’s development, there can be no expectation from the people for a better Guwahati city. Himanta Biswa Sharma is the minister of Information Technology and Science in the state. But in this sector, his contribution is negative. The state can boast of being one of the most backward states in the entire country when it comes to IT sector, one of the biggest revenue earning sectors of the country. There was absolutely no policy from the ministry that could inspire anyone to be an entrepreneur or a freelancer in the IT sector from the state. The few existing small-scale IT service providers or freelancers, who tried with best efforts to set up something in their land did not receive a single word of support, leave alone tax benefits or subsidy. The vandalistic minister did not even attempt to bring in any big establishment of national or international repute to invest so that jobs could be created and supporting industries can take benefits. As a result of such vandalism of Himanta Biswa Sharma, we helplessly continue to observe an ever-increasing graph of the number of students and workers moving out of Assam to work in the booming IT industry in rest of India and help the economy grow in those states. 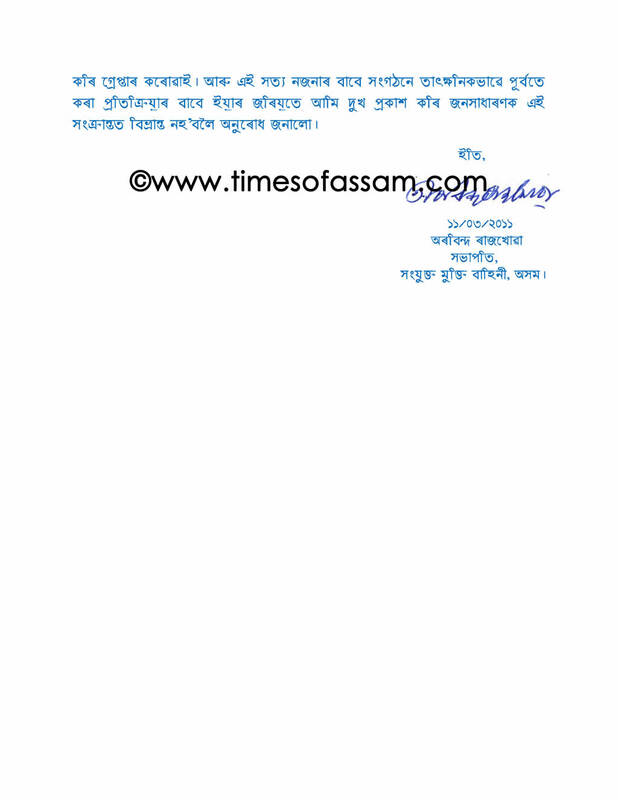 Himanta Biswa Sharma cannot be considered as a youth leader. He is a loser, who has headed the way to show how one should lose all moral value, ethics, and trust of people in the road to gain more power and money. We don’t need him as a leader for good of our motherland.